We interrupt your regularly scheduled blog post with a breaking news announcement. 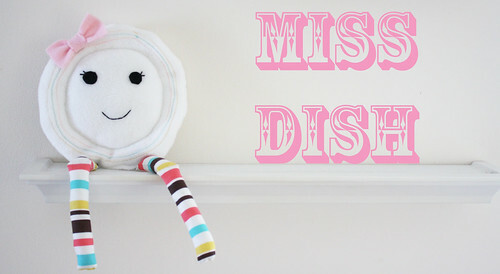 Today the local authorities have confirmed that Miss Dish and Mr. Spoon ran away from Mr. Farmers house. This has devastated his whole family, as they were his daughter’s favorite dish and spoon to use. 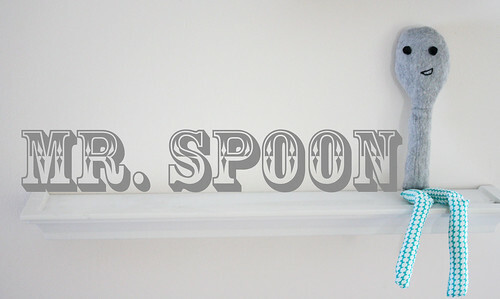 The police have questioned the cat, the fiddle, and the cow who jumps over the moon, but no one knows for sure why Miss Dish and Mr. Spoon chose to run away. One thing is for sure though, they are on the run. For all of you lemon dish soap users out there, be on the lookout. That type of soap is there favorite and they might be looking for it. Keep your kitchens locked down. 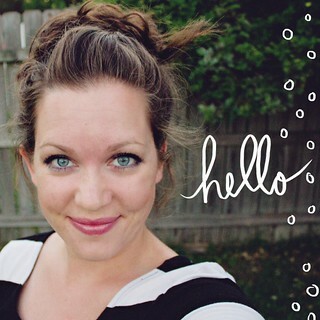 This is Mary, Quite Contrary, signing off for Nursery Rhyme News. Come back at 10 pm for more groundbreaking stories. Pattern can be downloaded here. if they were any cuter my teeth would be rotting!!! SWEEET! 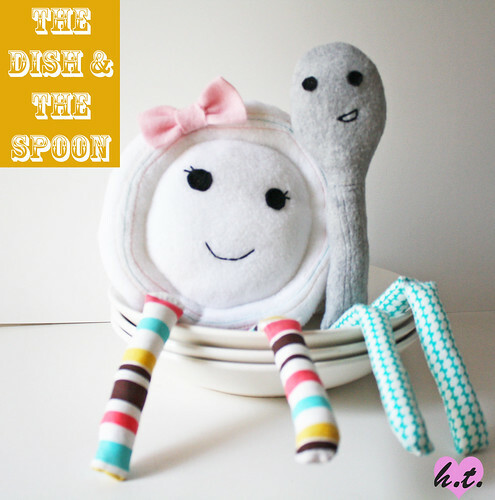 Not only are the dish and spoon adorable. The reporter gives a great newscast. Thanks for the tip about the dish soap. Oh my goodness me…..I think I just saw them on interstate 10 at the Live Oak overpass yes that was them… they are some kind of fast let me tell you. OMG, Jessica, awesome as usual! I don’t think you’re capable of producing anything less than fantastic! I love that! Totally creative and made me giggle! these are the cutest softies ever! I think these would look so cute in a babies nursery. I love the faces and legs. So creative Jessica. You are bubbling with great ideas! These are GREAT! What a fun idea. I am always looking for unique ideas for little kiddo birthdays, this is perfect! How do you come up with this stuff? this is soooooo cute! i like their doe-eyed look. Ohhhhhhhhhhhhhh….so ADORABLE!!!! You are the best!!!! I cannot wait!!!! Thank you so much Jessica! Big Giant Hugs and lots of luv! 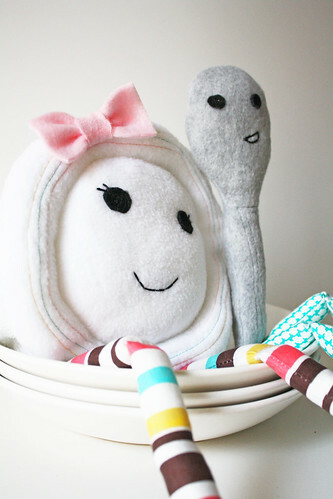 Just saw this on the craftzine blog and it is oh so cute! I love your blog and also live in Jacksonville. FUN! So cute! 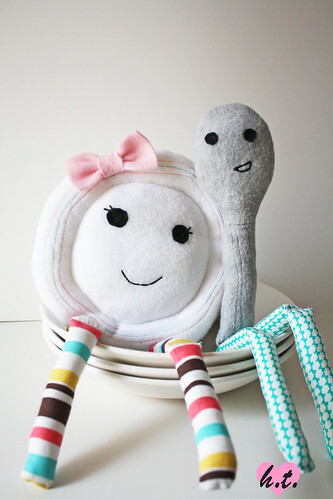 I have a chef and baker couple who are expecting…such a perfect gift for baby!!! This is so stinkin’ cute—thank you so much for sharing! Hey! Congrats on your appearance on Ohdeedoh! That’s awesome! O.M.G. Really? This might be the cutest thing I’ve ever seen! Excellent work! Thanks for sharing. Thank you so much for the pattern- this is my very favorite nursery rhyme and have two darling grand-daughters to make them for- cute-cute-cute. I like your funny figures! I just LOVE them they are great!!! 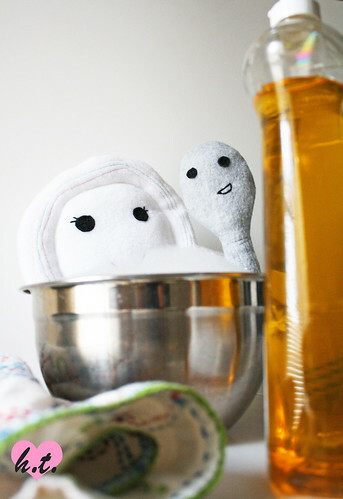 One of the most creative DIYs I have ever laid my eyes upon! Am sharing your article on my blog ( http://community.little-red-bus.com ), hope you don’t mind! Absolutely adorable!! And I just loved reading the post. i would love to make one for my daughter but I’m getting an error (says “file is not valid”) when downloading the instructions. HELP! Thank you for this pattern. My daughter has been on a huge dish and spoon kick for months now. 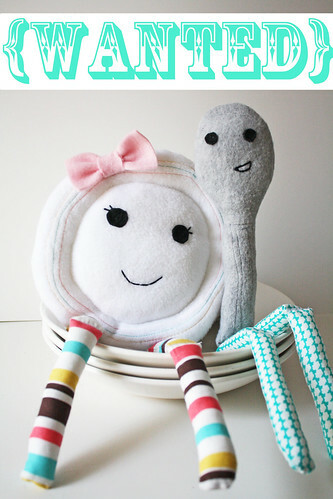 I posted pictures of the ones I made (I added arms) on my blog: http://craftymomsshare.blogspot.com/2011/08/and-dish-ran-away-with-spoon-again.html. Thank you again. You made Hazel smile to have them.